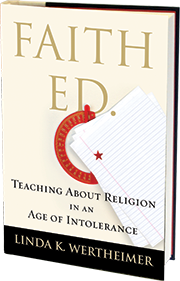 « It’s Publication Day for Faith Ed! I got there a bit early to sign multiple books. Perhaps the biggest buyer? My wonderful mother-in-law, who bought nine in all, including a bunch for her book club. Sherry McIntyre, a teacher featured in my book, came all the way from Modesto for the occasion and bought seven, so she was a close second. Pictured: Me with Sherry McIntyre. Stay tuned for the live video: WGBH’s Forum sent a film crew to my reading, and soon my talk should be posted on the site. If you want a taste of what WGBH does with free lecture videos, take a look at this one by the always entertaining Randy Susan Meyers. She’s chatting about her latest book, Accidents of Marriage, a novel that kept me riveted. Faith Ed. Goes on Public Radio: Yesterday, Krys Boyd of THINK interviewed me on her one-hour talk show, with call-in questions. She is a superb interviewer, and it was fascinating to hear readers’ questions. It was fun, too, to be featured on a radio show in Dallas, where I lived and worked for six years. You can hear the full interview on the THINK podcast at this link. Next Event: You can always see my full list of events on my website at www.faithedbook.com. But, here’s a heads up on event #2: I’ll be giving a talk on Faith Ed as part of the Tewksbury Library author series at 7 p.m. on Tuesday, Aug. 25. That’s Tewksbury in Mass., for those from out-of-state. 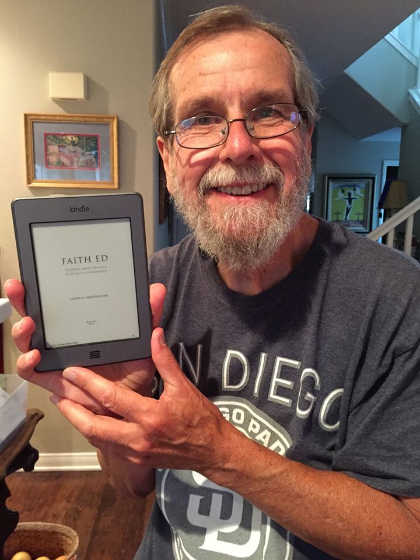 Featured Photograph of a Reader with Faith Ed: Phil Oakley, a former Dallas Morning News colleague of mine, is the first to respond to my request for a photo of you with your copy of Faith Ed. 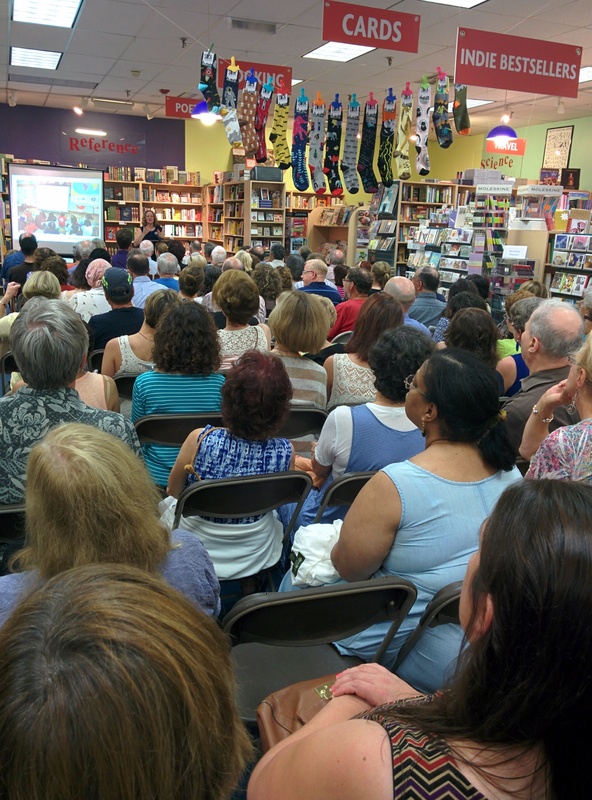 Thanks to Phil, who now lives in San Diego, and is an author, too. Recent Faith Ed articles & reviews: As part of launch prep, I wrote various posts for national blogs. Here’s a link to a piece I wrote called 7 Reasons We Should Teach About Religion for On Faith, and here’s a link to a post I wrote for a Patheos blog aimed at parents looking for ways to teach their children about different religions. Jewish Advocate of Boston review: Many thanks to Michael Burstein for writing this lovely review of Faith Ed., for the Jewish Advocate in Boston. Given the paywall of the Advocate, I can’t post free access to the review, but can show you the sum-up. “This is an important and compelling book. For Jewish Americans, it is a reminder that even today, there are parts of this country where the conflict between church and state still plays out, and where a student of a non-majority religion might feel marginalized. 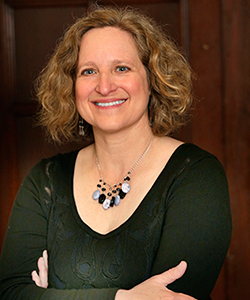 Wertheimer hopes that educators around the country will embrace curricula in which all students are taught about the other religions in the world to foster a sense of understanding. Her message is as timely today, as it would have been when she was in fourth grade.” – Michael A. Burstein, Jewish Advocate. Send me your photos! I’d love to feature different readers holding up their copies of Faith Ed and include their locale. So just email your photo at linda@lindakwertheimer.com or post it on my Facebook page. 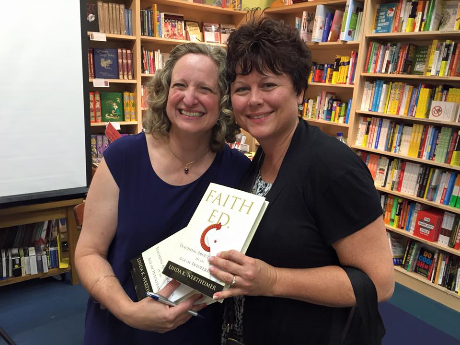 Interested in seeing more photos from the launch of Faith Ed.? I’ve posted many as public posts on my Facebook page . Or, follow me on Instagram and see photos there at https://instagram.com/lindakwert/. Tagged Beacon Press, Faith Ed, Jewish Advocate, KERA, Krys Boyd, Modesto, Phil Oakley, Porter Square Books, Sherry McIntyre, Tewksbury Public Library, THINK. Bookmark the permalink.